Ever hear about one of our CMB couple stories and wonder how they got there? On November 1, we threw a special event just for our success stories and took the opportunity to ask them that very question. The event, called The Gathering, was the latest installment of our CMBxSofar event series, an extra special affair just for our couples. It was the perfect date night, filled with live music, wine, and intimate conversation centered on dating and relationships – all within the setting of a cozy Chelsea brownstone. Even better, special guests Nev Schulman and Laura Perlongo from MTV’s “Catfish” showed up again to MC the event! 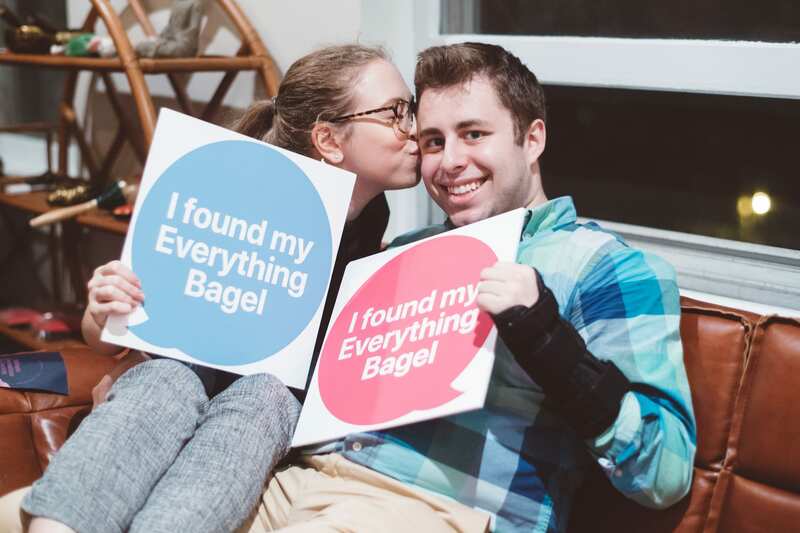 Afterwards, we sat down with one of our couples to talk about how they first met on Coffee Meets Bagel. We especially loved Adam and Allison’s story: two like-minded vegans looking for each other in the big city. To learn more about their CMB experience, check out their Q+A from our email interview below. For the full experience, check out our Instagram Story highlight and photos from the event. To learn more about our next CMBxSofar Sounds event, check out the event page. CMB: How did you hear about CMB? And why do you think CMB, in particular, was able to help you find your partner? Adam: I had heard about it from some of my friends from undergrad who swore by it as as an app where everyone on it was serious about looking for a real relationship, which is exactly what I wanted. Allison: CMB was known to be a space you could meet other people who were interested in dating or a relationship, rather than something more short-term. CMB: What stood out to you about your partner’s profile on the app? Adam: Of course the first things I saw were her pictures, and she looked stunning. Then, I was amazed to see that she was also a vegan! And even on top of that, we shared similar taste in TV shows like “Friends” and “BoJack Horseman.” I knew she was the girl for me. He also liked the same TV and music as me and was also Jewish. It was like I was reading my own profile, haha. It was first day opening the app since I got to NY, and I hadn’t been on it in months. I honestly didn’t think it was real, or that somehow he wouldn’t see me, but he did! CMB: Your initial conversation on the app: who messaged who first, what did they say, and how did other person respond? Adam: I opened the conversation with, “What’s your favorite vegan restaurant in the city?” Since that was something I could talk about forever and I figured she’d be the same way. Allison: He asked me what my favorite vegan restaurant in NYC was. I told him and asked him about his, and then asked him about his favorite Childish Gambino song because he said in his profile that he likes all things Donald Glover. We had that in common. I liked his initial message because it was respectful, something I loved to talk about, and something that could relate to a future date for us. CMB: After your initial conversation, how did you progress from taking the conversation from getting to know each other to actually setting up a date? Adam: Once we’d sent some messages back and forth, I asked her out for drinks, at which point I asked for her phone number and we worked out the details. CMB: What was your first date like? Were they the person you imagined behind their profile? Allison: It was really incredible. We met at a bar on a Wednesday night. It wasn’t loud or crowded. They had games, which were great and allowed us to do something in between the classic “getting to know you” questions. We were playing Scrabble and ended up putting “cute” and “date” down in the same round. He was even better than I imagined. Everything kind of fell into place with him. Adam: Haha don’t have much to add to that except it was the best date I’d ever been on, hands down. CMB: What advice do you have for someone still looking to meet their “someone special” on the app? Adam: Don’t be afraid to ask your friends (or even family if you’re comfortable with that) for help with your profile! I definitely got some invaluable advice from them on which pictures to use and what order to use them in. Allison: Look for someone who shares your values and sense of humor – somebody who you feel like you can be yourself around. Did you meet your partner through Coffee Meets Bagel? Share your story. The Gathering is part of CMB Experiences – real-world events in real-world spaces, where people can unplug and practice being present. Together. 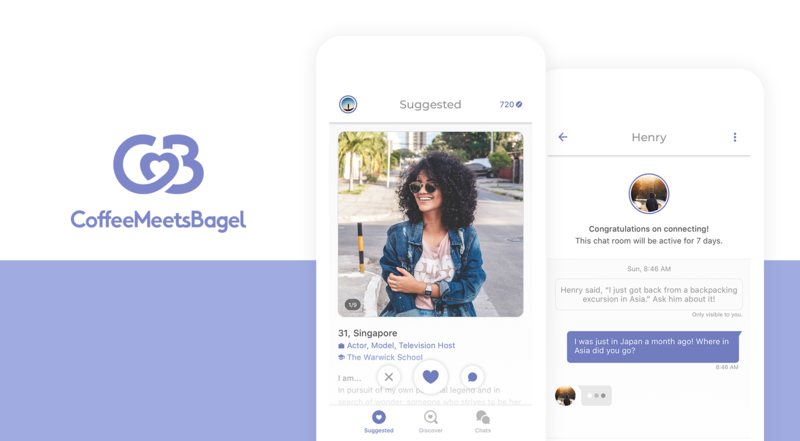 We started Coffee Meets Bagel Experiences because we don’t think meaningful connections should be limited to the online world. In fact, while the CMB journey starts out online, the most important connections are made face-to-face. Check out other exciting CMB Experiences we’ve put together, like the Run Date Festival and Camp Meets Bagel.